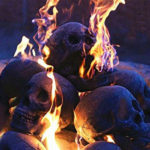 You know what’s not safe to burn in your fireplace indoors, but with a fire pit outdoors, you can burn anything, right? Not so fast. 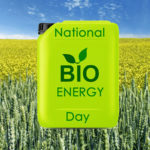 Check out the infographic below to learn more. 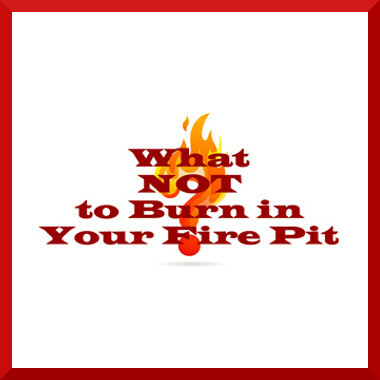 <a href=”http://www.fireplacemall.com/2013/07/what-not-to-burn-in-a-fire-pit-an-infographic/”><img alt=”What Not to Burn in a Fire Pit” src=”http://www.fireplacemall.com/wp-content/uploads/2013/07/WhatNOTtoBurnInFirePit.jpg” /></a> Created by <a href=”http://www.fireplacemall.com/”>FireplaceMall</a>. 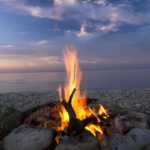 Many of the same safety rules that apply to indoor fireplaces also apply to outdoor fire pits. 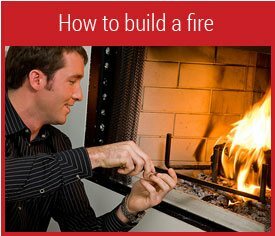 Because you’ll be standing around the fire, you will just just as susceptible to toxic fumes from plastics, treated wood, etc. Avoid burning newspapers and catalogs that have a lot of ink, especially colored ink. 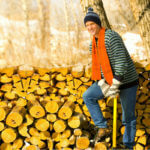 Treated wood, plywood, and painted wood will also give off noxious fumes when burned, so stick to regular firewood or untreated lumber. Accelerants like gasoline are always dangerous. If you want to use something to get your outdoor fire started, using something slow-burning like charcoal lighter fluid, and add it before lighting the fire- never add accelerants to an already-burning fire. And of course, don’t use any accelerants with indoor fires. That’s just a recipe for disaster. Last updated by Tom at September 3, 2014 . 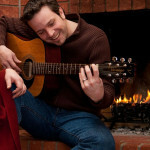 ‹ What is a Summer Fireplace Screen?